Cimex lectularius probably received its name of “Bed Bug” because they are commonly found where humans sleep. However they can also be found on buses and trains, in theaters, restaurant booths, locker rooms, and even in office spaces. They often seeks refuge during the daylight, and usually feed at night, most often between 1AM and 5AM, though not limited to those times. They can hide in many places within living spaces in cracks and crevices such as headboards, picture frames, mattress buttons, box springs, pillows, clock radios and electronics, and the crevices of a wooden frame that could have a slight gap. Bed Bugs were not known as migratory insects in the past, but have adapted and now freely travel from room to room and apartment to apartment with the potential to infest entire buildings in a short period of time. We have compiled a list of facts to better understand the nature of these pests. 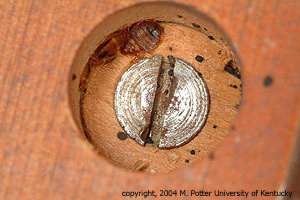 Bed bugs (females) deposit three to eight eggs at a time. A total of 300-500 eggs can be produced by a single bug. Their eggs are 1/25? long and curved. They are often deposited in clusters and attached to cracks, crevices or rough surfaces near adult harborages with a sticky epoxy-like substance. Eggs typically hatch in a week to 12 days. The freshly hatched nymph is beige-colored before feeding, and then turns a redish color after getting a blood meal. There are 5 nymphal stages for bed bugs to reach maturity, which usually takes about 32-48 days. See diagram right. Nymphs must feed on a blood meal to grow. They shed skins as they grow, in a process called molting. Adult bed bugs can survive anywhere from seven months to one year without blood and have been known to live in empty buildings for up to one year. Nymphs have tiny translucent bodies are barely visible. 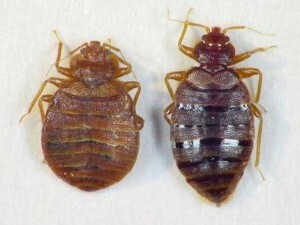 Bite reactions vary from person to person depending upon how allergic an individual is to the bed bug saliva injected at the time of the feeding. This saliva acts as an analgesic and prevents the person from feeling pain or discomfort so the bed bug can continue undetected while they feed. Furthermore, doctors are unable to distinguish a mosquito bite from a bed bug bite. Evidence of an infestation will be tiny black speckled droppings on a mattress or box spring, molted skins castings, and eggs which are nearly impossible to see. The other sign is obviously bites. Through a vigorous inspection and treatment process these bugs can be eliminated. By following the pre-treatment checklist prior to the arrival of our team, the results of our program are guaranteed. However, not preparing the infested rooms greatly diminishes our ability to correct the problem and the results will be compromised. Remove all bed linens, pillowcases, bed pads, curtains, clothing, and furniture dressings. Place in large sealed bags, and send to the laundromat to be washed and dried. Wash these linens in hot water with temperatures above 120 degrees. Dry them using the hottest cycle available, and then place them in clean bags and seal. Remember to never place the clean clothing or bed sheets into used plastic bags, always use fresh and new plastic bags. Mattresses box spring must be ready for inspection and have nothing on them. Headboards should also be removed from wall. Empty closets, bedside tables and bureau drawers for inspection and treatment and place items in clean clear plastic bags that closes tightly. Make room perimeter accessible for inspection and treatment. Remove anything that could be our way. Remove picture frames, clocks, posters and other wall hangings for inspection and treatment. Pick up everything from the floor that could be considered an obstacle, especially in rooms where bed bugs are present or suspected to be. Check each item thoroughly before putting into a bin or bag in the “bed bug free zone”. Make sure locked rooms and closets are left open for inspection and treatment. Remove all electrical outlet and light switch plates. Remove wall mounted lights if applicable. Reinstall 24 hours after completion of treatment. 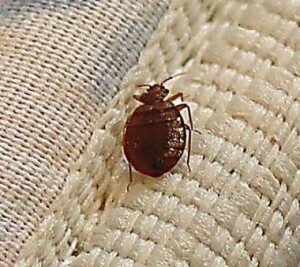 Upon arriving at the apartment the bed bug treatment starts with a thorough inspection and treatment of the rooms to be treated. This will typically start with the bedroom(s), moving on to other rooms depending on what has been specified in the agreement. The mattress and box spring will be inspected and treated with products labeled for use on mattresses and box springs. Our technician will not spray shoes, clothing, throw rugs or any personal belongings. The homeowner must decide if they can be washed or where they will go. Our technician will inspect the bed components/bedroom for signs of bed bugs, live bed bugs, staining, droppings, etc. Inspections will be done to all areas of the bedrooms including the cracks and crevices of bedroom furniture, wall hangings, night table drawers, under carpeting at the corners, molding, etc. When this is complete, a detailed crack and crevice treatment will be done to the closets of the bedroom as well. What should be done after the treatment? Avoid entering room(s) for a minimum of 3-4 hours after treatment. Allow mattresses, box springs and other treated areas to dry before reassembling the room. Pets should avoid entering for a minimum of 3-4 hours after treatment as well. Open windows if necessary to let the air circulate properly. Avoid bringing any infested furniture, mattresses, box springs and bed frames back into the home. Encasing the pillows, mattresses and box springs is highly recommended. Carefully inspect and vacuum-clean luggage when returning from trips and seal as well as throw away all garbage. What’s “The Plan” at your company? 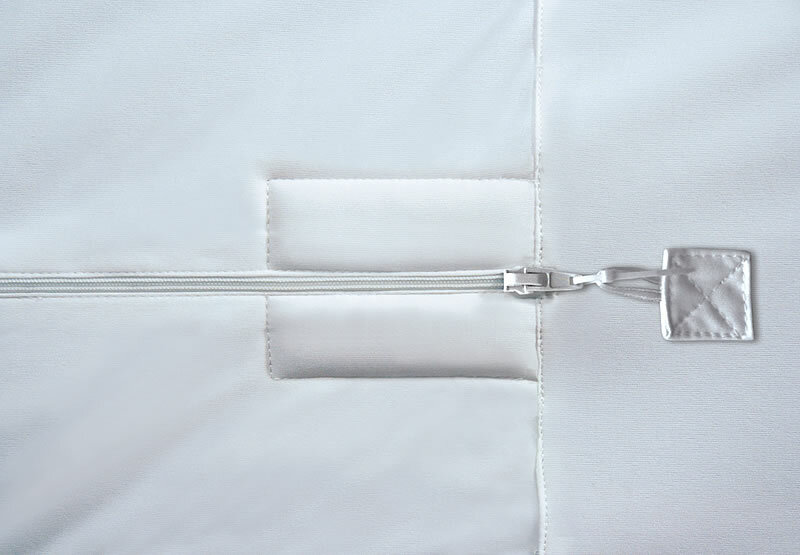 We strongly recommend bed cover encasements if you wish to keep your mattress and boxspring. Call us for available sizes and pricing. 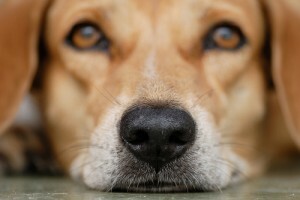 Bed Bug Dog Inspections Available! We are now offering in-services with our Entomologist for commercial establishment to discuss identification, prevention, the biology/life cycle, and proactive measures to safeguard your business against bed bugs. Learn the facts with our Powerpoint presentation, a question/answer session, literature for all, and an introduction to all of the new products designed for bed bugs. Is your staff prepared in the event of an infestation? When we come to your home, we are very much aware of the anxiety that these bugs have brought you. We understand that they are effecting your sleep and causing great stress to you & your family. Our goal is to solve this problem as quickly as possible, using only the most up to date techniques, with great sensitivity to your needs so that your life can soon return to normal. We service many homes, hotels, offices, and health care facilities that also have these bugs, so you are not alone. We urge you to choose your pest control professional wisely. 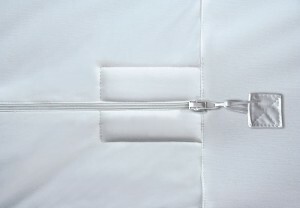 We feel that our process far surpasses the steaming or freezing techniques that some companies are using because once “the wand” of the steamer or freezing device has passed over the spot being treated there is NO residual effect. Our process has a residual of almost two weeks. Furthermore, dust applications to electrical outlets can be effective for up to 6 months. As a part of our program, we always provide our clients with additional inspections to analyze our progress and re-treat if necessary. Remember, not all pest control companies are experts at bed bugs so be sure to ask them lots of questions before you hire them. Lastly, please have a look at our testimonial page, & read what we have done for other people. We are here if you need us and if we can answer a few questions for you we’d be happy to help. Hang in there, this problem can be resolved!